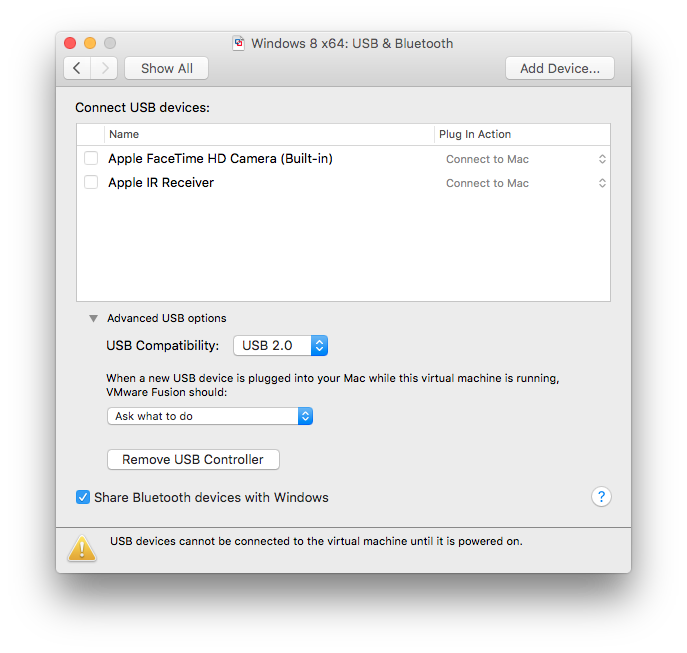 I have a very old Macbook Pro (13-inch, Early 2011) and after updating Windows to the current version couldn’t get USB to work. The following is a small walkthrough to get it to work. It is a small configuration detail but i wasn’t aware enough and spent some time troubleshooting it. 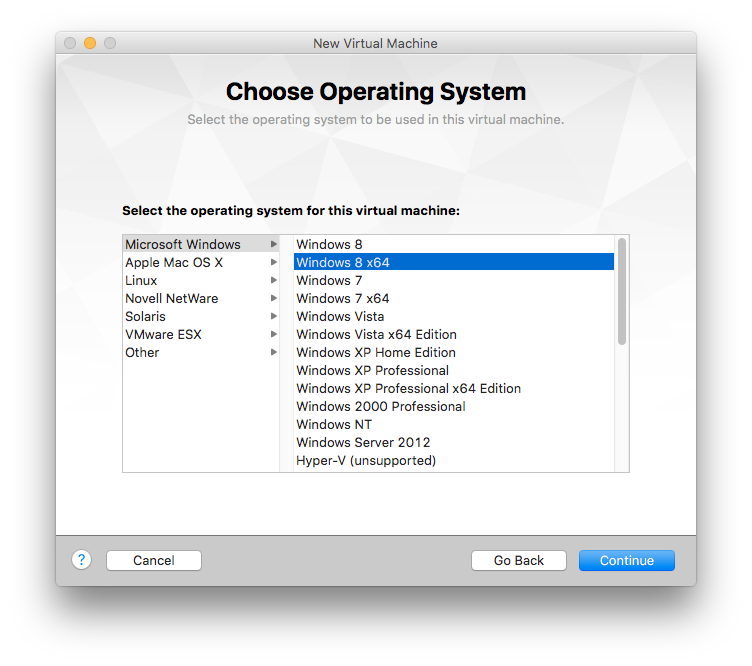 As VMware Fusion reaches version 10 and i just couldn’t justify the upgrade from version 6. 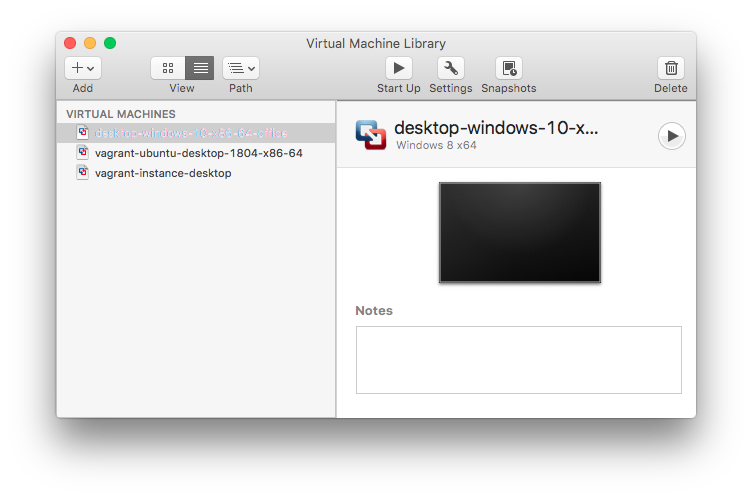 I bought an ESD license for Windows 10 though and wanted to run it on VMware. Everything is straight forward as a new installation. When asked you should check Windows 8 x64 as your Operating System. There’s one problem with the default configuration though. The newly created vm will default to USB 3.0, and that will render a non working USB ports under Windows 10. You should change it to USB 2.0 and everything will work as intended.